“In the first picture, we’re looking here along the Don towards Blonk St bridge. At the foot of the bridge and opposite Victoria Station Road is the Alexandra Opera House [the white building]. The buildings backing onto the river at the right of the image are the Dannemora Steelworks which occupied land in the angle of the Wicker and Blonk Street; run by Seebohm and Dieckstall who changed their name to Arthur Balfour in WW1. What is now the SADACCA building in the Wicker was the offices. 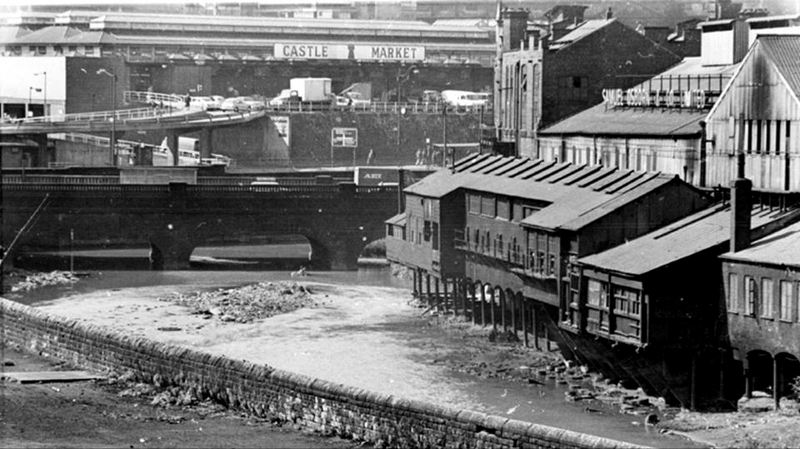 The turreted building at the end of the riverside run, in dark grey, is the Clyde Steel Works, a fake medieval battlemented block; one of the medium-sized steel works that remained in the town after the big ones set up on open space in the Don valley. It would be no surprise if the slaughterhouses had been faked up to look like a castle. And – if you look at w00568, s01760 and s01752 in PictureSheffield you will find images that show some crenellations on the slaughterhouses. I think that’s the answer! 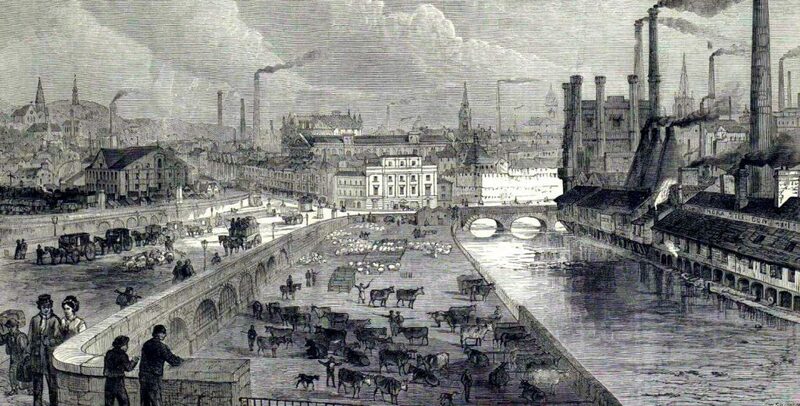 Thanks all for a fascinating topic and discussion -to think that those slaughterhouses were there in 1805 and lasted well into the late nineteenth century.